You're busy. We get it. So let us take it from here. 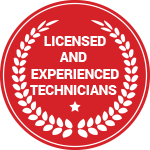 From plumbing and HVAC to remodeling and more, we will be with you every step of the way. Our red vans are out serving you every day. 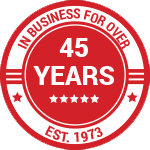 Since 1973 Mullin Plumbing has been serving Residential & Commercial clients in the greater part of Oklahoma. 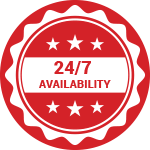 We are a full-service company operating 24 hours a day, 7 days a week: How Can We Help You? Is your problem something more than plumbing? At Mullin, we have trained professionals to handle all your service needs. From repairs and replacements to all-inclusive maintenance programs. Whether it is plumbing, electrical, heat & air, remodeling or septic, if you have an issue, we have a solution. Our technicians are available at any time for those problems that just can't wait! We offer full service repair for homes and commercial businesses. Contact us today with your maintenance needs to get quality service in a timely manner.